WHEN ALICE saw the White Rabbit and decided to follow him, she could not have known the mind altering adventure her curiosity would lead her into. 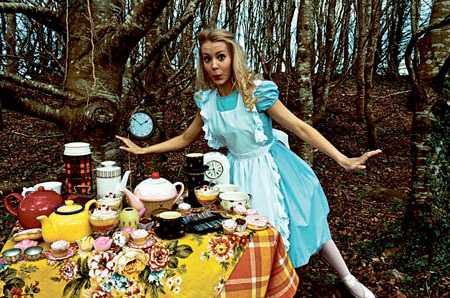 Galway audiences will have a chance to follow Alice themselves, not so much ‘through the looking glass’ as into the underground in the new show Alice Underground by Galway’s Youth Ballet West. The show takes place in the Town Hall Theatre in Galway on Thursday July 5 and Friday 6 and will see Alice, pirouetting parrots, dancing ducks, flouncing flowers, and a very Mad Hatter, in what promises to be a marvellous new ballet production aimed at families. Conceived and choreographed by Claire Lillis and Judith Sibley, Alice Underground is a modern interpretation of Lewis Carroll’s Alice in Wonderland and Through the Looking Glass. Youth Ballet West features 25 young dancers from Galway, Ennis, Athlone, and Roscommon.